With Juju, services can be deployed, connected, upgraded and re-used by defining them as charms. Encapsulating service intelligence like this helps to separate deep, service-specific knowledge from broader operations management skills. 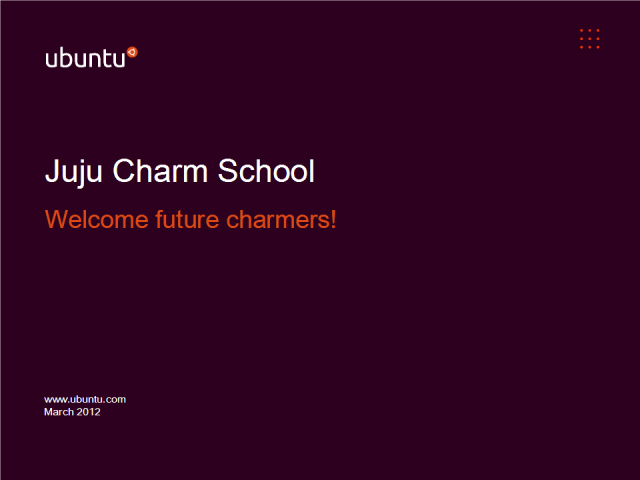 Juju Charm School is a webinar presented by Cloud Developer Liaison Jorge Castro and devops expert Clint Byrum. Covering how to create charms and use them, it’s for developers and operations teams who want to make service deployment easier - especially in the cloud. This is a follow up to a prior Juju seminar, found here. [link to http://www.brighttalk.com/webcast/6793/39309] We strongly recommend that attendees watch the earlier video before this one.